Book Hotel Sunfort Lahore on cheap rates | iMusafir.pk. 72-D/1, Liberty Commercial Zone, Gulberg-III, Pakistan. 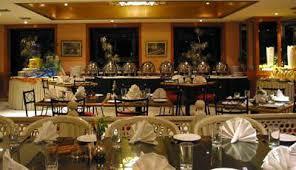 Hotel Sunfort, owned and operated by Palace Enterprises Pvt. Ltd, has great importance due to its prime location. The hotel was designed on seven canals and fifteen marlas in a way to meet the needs of modern times. Hotel Sunfort commenced its business on May 09, 1996 and is maintaining its entity with success in the hospitality industry. The company is renowned for its total dedication to customer service and enjoys a clearly defined outstanding role in the luxury market. Backed by the financial strength and business-building resources of the Directors, Sunfort has embarked on a selective growth program and planning to enter new markets, We offer international acclaimed services in the luxury hotel category.